So which is it? Should you accept a process simply because it’s traditional? Should you assume that it doesn’t need attention? If your business processes are working reasonably well, should you never review them? Should you never seek to improve a process that’s fulfilling its basic objective? Is it OK to accept that we’ve always done it that way? When I think about these questions, I think about bananas. I’ve always peeled bananas from the stem. It works reasonably well most of the time. But occasionally the stem breaks off awkwardly and mashes the end of the banana. I’ve also noticed recently that snapping the stem can aggravate the arthritis in my thumbs. But, hey – it’s not a big deal. I’ve always done it that way. Why would I change something that’s not broken? Then I learned that monkeys peel a banana from the opposite end. 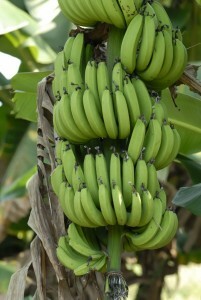 This is actually the top since bananas grow “upside down”. You simply pinch the top and the peel separates; then you pull it back. It’s simple, easy to do, essentially foolproof, and it doesn’t hurt arthritic thumbs. (Here’s an illustrated guide). Now I peel bananas from the top rather than from the bottom. Each time I do, I think about innovation. It’s a simple thought – I should ask more questions about how I do things. Why do we things the way we do? It’s a simple process – we just observe and question. It’s so simple, in fact, that we can learn it from monkeys.